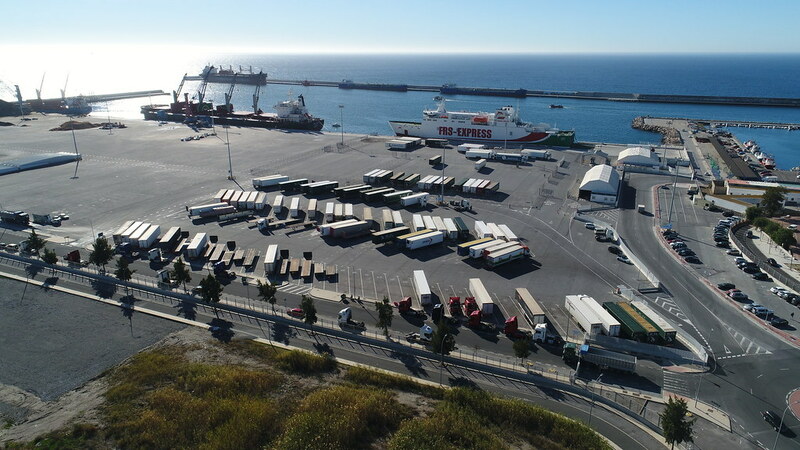 The recent history of the Port of Motril, in its current position, throughout this last century has experienced an intensive and successive process of expansion with continuous socio-political and economical upheavals along the way. The rivalry between the Port of Calahonda and the Cove of Varadero was based on the principles of a difference of interests, which was settled in favor of the Cove of Varadero due to its strategic importance and the specific location of the nearby town of Motril. Ironically in 1883 the original project was located in Calahonda, but due to the unrivalled system of piers in the port of Varadero, Calahonda was relegated to second place and Varadero became the principal port even though the piers didn’t actually fulfil the role of port protection. Following the granting to the port of Varadero the status of the second order economically significant port in 1882, a series of individual initiatives aimed at modernizing of the process of loading and unloading of goods in Motril´s roadsteads achieved its target. These changes were based on the Royal Decree, dated July 9, 1882, that established the bases to remain they are, as the government had already studied the model of organization and assembly of port structures in concession regime. In Motril, the first attempt to build a dock is dated July 26, 1883. On that day, Andres Serrano and Ramón Pelayo drew a project of the pier-wharf that later was sent to the authorities for its approval. In this document both justified the need of "the commercial importance of Motril due to its agricultural prosperity of the soil and extraordinary development of its industry, so all that is demanding the execution of this sort of construction. Just think about the valley that extends between the city and the sea with two thousand hectares of land used for the cultivation of sugar cane; just direct your eyes at six powerful factories that extract the sugar, meanwhile there are only two ways of exportation of these delicious products: the first one is difficult and expensive, and the second one is easy and cheap”. 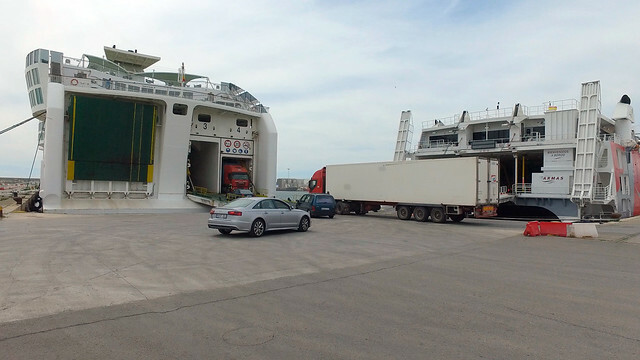 (Port of Motril File s/1). The port shipping statistics of that time showed the urgency of modernization of the process of loading and unloading of goods. In the decade from 1873 to 1883, the Motril Custom registered the shipping traffic of 29,000 tons annually. The first attempts to request the construction of a port in the roadstead of the Varadero were exercised by the City Council. On February 23, 1902, in the name of the institution was sent an instance to the Minister of Public Works in order to obtain his authorization to begin the preliminary studies that would shape the future of the port of Motril. On July 9, 1903, the mayor of Motril implored before the highest political authorities to initiate the preliminary studies according to the budget, and asked the work to be controlled by the experienced engineers from the provincial area. The appeal received an immediate feedback; a day later, the Chief engineer of this section was assigned to start the preparations. On December 22, Julio Moreno, the engineer responsible for the project preparing, began to draw the map of the coast. The project report was completed on October 29, 1904. THE FIRST PROJECT OF JULIO MORENO. The task of the major importance for the engineer was to find the most convenient place for the future port location. The area of the city of Motril was limited on the West by the Guadalfeo River, a geographical feature that extremely complicated the communication with the neighboring city of Salobreña. On the East, the Cove Calahonda was situated, and in its proximity, the Sacratif Cape, another natural limit that would be converted into the point of the commercial dock location. When the project of building a port to refuge Nicolas de Orbe had been rejected, its real determination resulted prefixed beforehand: it would be the roadstead of the Varadero, located between the coordinates 3° 30'' of west longitude and 36° 43' 6 '' of north latitude, this was the port’s new location. The communications, still not the most favorable, were also a key aspect for the future development of the port. Motril is linked to the city of Granada by one of the busiest high roads in the province that collected the traffic from the villages of Alpujarras area and even from a part of the province of Jaén. The modernization of the road network could be the great solution for stimulation of delivery of other products to the mentioned regions. But due to the conditions of the roads, big consignments of wood, cement and flour destined for Granada were disembarked in the port of Varadero. But, according to Julio Moreno´s opinion, the main reason was the commercial traffic statistics generated by the Motril beach during last five years, from 1899 to 1903. According to the features that the engineer was provided by the General Customs Directorate, the average of the operations of inputs and outputs of goods was 39,843 tonnes, anticipating that this amount could be increased to 50,000 tonnes in 1904. The project of linking Motril and the capital by railroad, either with broad-gauge railway, as it was granted to the Marquis of Cavaselice, or a narrow-gauge railway (in case the plan of secondary railways was implemented) would be the required instrument to relaunch the commercial traffic of all its hinterland. 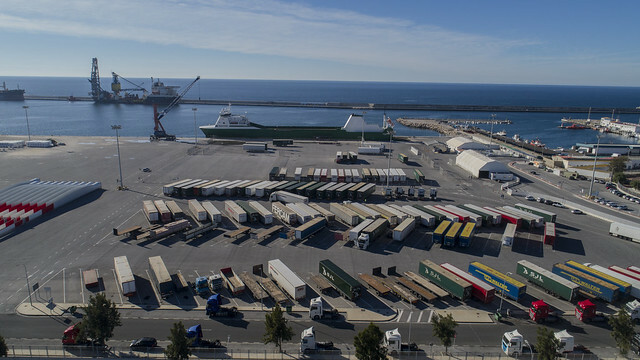 The project offered by Julio Moreno for the Port of Motril was eminently commercial, that’s why it was designed with the layout and all the technical means to optimize the process of loading and unloading of goods. These operations require a sheltered space of the sufficient capacity in order to avoid in the future demolishing of the works already executed. At the beginning of the century, the figures demonstrated that the maritime traffic of the Port of Motril left no doubt about the long-term demands for the amplification of the dock. The average number of ships that stayed in the roadstead of Varadero during 5-year period from 1899 to 1903 was 673, which was equivalent to two boats per day. An objective calculation showed that at certain times of the year an estimate number of ships could rise to 6 or 7 per day. Based on these estimations, Julio Moreno designed the construction of two docks for the same purpose; the first one, with 396.5 meters of moored surfaces, and the other, with 287.5 meters, being surrounded both with a water depth of 8 meters. This area planned to be complemented with a moored wharf of 101.5 meters and 109.5 meters respectively with a water depth below 8 meters that would descend until a minimum of 3 meters. This lowered depth would extremely facilitate the loading and unloading of small displacement boats and it would be immediately useful when they would be put in operation during the progress of the docks construction. Once the future capacity of the port and the length of the moored wharves had been calculated, it was essential to draw up a plan of the layout of the docks. Julio Moreno projected the construction of two dams, a straight one, on the East, that was drawn up according to the coast conditions, and another, on the West, with a polygonal shape, destined to shelter the dock from the swells descending from the West. The inauguration of the works in the quarry. The newspaper reports collected many memorable quotes that demonstrate the expectations of the moment. "These are true facts, not empty promises. The first step for the construction of our desired port has been already taken and we can say that the time when the first ships will put in here is shorter now ...The construction works will soon begin, perhaps within this week, if there are no difficulties in the process, which, we believe, will be immediately solved. Furthermore, these are a few hundred workers employed in these works, in such bad times that we are facing. So who can tell now that this project is a pure fiction and a political maneuvering?.." (Vida Nueva, 8-6-1905; № 17). The modified project of julio moreno. The original project of Julio Moreno was returned to the Provincial Headquarters for its modification in accordance with the Royal Decree, dated April 14, 1905. El opinion of the third section of the Public Works Council was decisive for its modification that eventually caused a considerable delay in the beginning of the works. Julio Moreno, as the most experienced engineer, was put in charge again to write this modified project that was concluded on April 5, 1906. The recommendations of the Public Works Council were taken into account by the engineer, so he designed a new layout of the docks, maintaining the same port location. As the optional conditions that governed its implementation, it was pointed out that the port would be formed by two docks: one on the West, with a greater development, that would make a polygonal surface and would have a greater parallel length next to the coast; and the East one, located on the right bank of the Rambla de los Alamos. The objections raised by the Public Works Council in May 1906, required the drawing of the second modified project for the Port of Motril that would meet the requirements imposed by the authorities. Particularly, it was recommended to shorten the length of the west dock by about 400 meters, and to locate the harbor mouth of the port in the probe of 11 to 12 meters. The East dock should also be redirected towards the West and replaced by a number of breakwaters to prevent the swell originated in the second quadrant, creating a basin of smaller dimensions. This reduction also affected the quay that would be limited to the first position of the West dock. Finally, it was also recommended for the present to suppress the breakwater tips of the docks and, instead of it, to put a thinking cap on the construction of a circular plan that would be set on a mantle of first category breakwater. From April 1907 the process of negotiations for the approval of the second modified project were accelerated. José María Márquez revealed a personal letter from the Minister responsible for Public Works in Motril, informing that the amount stipulated for the construction of the port of Motril will be included in the future budget. The second modified project was completed on 19 June, 1907, and it was sent to the General Department of Public Works for its approval. The engineer had expected an operating budget of 3,863,803.5 pesetas, an amount that should be increased with the margin of the contract award. Julio Moreno had to travel to Madrid to clarify certain details not properly interpreted by the authorities. The predominated idea of the head office of the Ministry was to segregate from the project the part assigned for the west dock, an innovation that was not very well accepted by the representative authorities of the city. On 16 July, José María Márquez annunciated in Motril that the Minister responsible for Public Works had signed in his presence the port project. The construction period was fixed to six years with an annual assignment of three million reales, with the condition of the west dock being built first. In accordance with the Royal Order, dated 25 September, 1907, the General Department of Public Works set the public work auction on the day of 5 November, establishing a contract work budget of 4,520,649.57 pesetas. Upon finishing the opening session, the project presented by Rafael Montesinos was approved with the amount of 4.245 million pesetas, representing a loss of 275,649.57 pesetas regarding to the contract works budget. The inauguration of the works. The ceremony of blessing and positioning of the first stone of the west dock was finally assigned for Wednesday, 21st October. The impulse of the bernstein-montesinos society. After the inauguration ceremony, the works took a great activity. In April 1909, Rafael Montesinos Tarín and the German citizen Kurt William Bernstein signed an instance before the Council of Public Works requesting to change the legal status of the contract. The new company, now called Bernstein-Montesinos, got its registered office in Madrid and it subrogated all the rights and obligations certified by the contractor for the construction of the west dock. Giving effect to the proposal made on December 13, 1909, the General Department of Public Works authorized by the Royal Order, dated March 22, 1910, the project of extending and reforming of the Port of Motril. Once again, it was Julio Moreno, the chief engineer who was put in charge to write the works report, completed on 19 December, 1910. The corrections to be executed were focused, mainly, on the expansion of the capacity and the depth of the basin, justified with a relative increase of the budget. 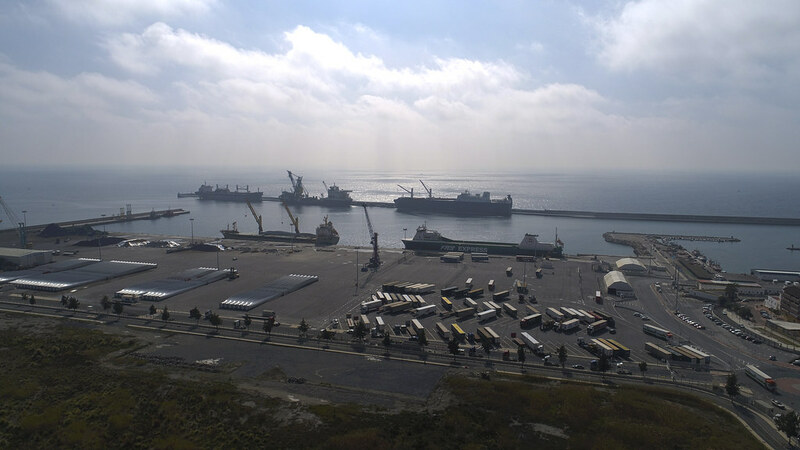 The construction project of the strategic railway from Torre del Mar to Zurgena had created many promising expectations of increasing of the maritime traffic in this area and it was the main factor that determined the project writing. The innovations introduced by the engineer referred to a series of reforms of the second corrected project. The west dock now was projected with a water depth between 12 and 13 meters, to adapt moorings to the increased tonnage of the modern ships. Its length was also increased by additional 151.75 meters regarding to the previous project. The height of the curtain wall, nonetheless, was reduced from 4 to3 meters, and the width of the wharf was set in 6 meters wide, instead of the 4 defined in the previous project. In 1914 were made a series of the administrative formalities assigned to reactivate the works of the Port of Motril that became a subject of vital importance to the authorities. Towards the month of August the present-day situation was quite disappointing: the works were stagnant and just a few workers maintained their current contracts. The minister José María Márquez, great defender of the port project, conducted intense negotiations with the Minister of Public Works to get the extension of the West dock. At that present, the dock achieved the east dock, and it had been proved that the ocean currents were making their influence in the dock, causing a danger to navigation. The second corrected project, signed as well by Julio Moreno on 28 February, 1916, re-introduced major modifications in the layout of the port. However, the report issued by the Central Service for Ports and Lighthouses on 24th May of the same year would be decisive for its reprobation. The Public Works Council, in keeping with its own conclusions, returned the project to the Provincial Authorities on August 19, 1916. Both authority departments agreed on the necessity to draw up a new report reflecting the current state of the works and the future ones to be executed to achieve the appropriate levels of functionality. THE ULTIMATE DESIGN OF THE DOCKS AND QUAYS. Since 1917 the works of the port had been paralyzed due to reasons not attributable to the contractor. This situation was aggravated by the rescission of the contract that was requested under protection of the Royal Decree, dated July 27, 1918. During this period, the west dock was exposed to the effects of the surge that undermined its structure, causing significant damage in 1918. The Bernstein-Montesinos company ordered to repair it immediately to prevent the future damage, but further fragmentations, this time even major, were occurred again lengthwise of the dock. So it was during a strong storm, in January 1920, although the strongest one occurred on March 15 that caused the most damage and the power cutoff. The organization of the administrative commission. On August 13, 1924, the Administrative Commission of the Port was created, nevertheless, it wasn´t officially constituted until December 30 of the same year. This entity had been regulated by new regulations that intended to liberate the state from the financial support of the different ports. From now on, some excise taxes were established in order to regulate the business operations of the port, so the income would have a direct application to the future estimates. The organizer was Emilio Martínez y Sánchez Gijón, Chief Engineer of Public Works of Granada, who at the same time was its first vice-president. In its early years, the management of the new organization was ineffectual as it was entirely limited to collect the excise tax. A NEW CONTRACT FOR THE WORKS. The project of termination of the shelter docks and the construction of the quays was approved by Royal Decree, dated November 25th, 1922. However, its implementation would not be executed until 1925. 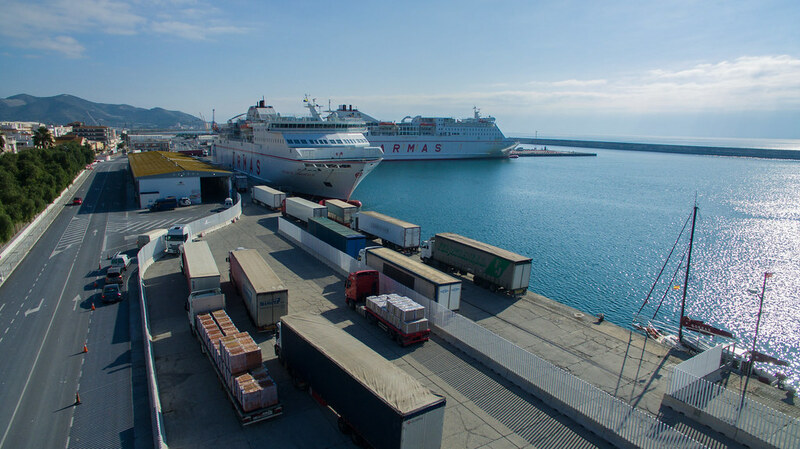 This year the "Gaceta de Madrid” published a Royal Decree, dated January 11th, that authorized the Ministry of Public Works to carry out the works of the Port of Motril. The auction was announced for 21st February, 1925. There were several companies involved in a tender process, including Paul Salinder´s, who offered 2,603,588 pesetas, “Tranvías Eléctricos de Granada” offering 2,689 935 pesetas, José Serrano Mollón with 2,630,000 pesetas and the “Construcciones y Pavimentos” SA that offered 2593.750 pesetas (Lopez Murillo, J. 1989: p. 72). Finally, the tender was granted to the businessman from Granada José Vernal García who offered the lowest budget of 2,555,439 pesetas. 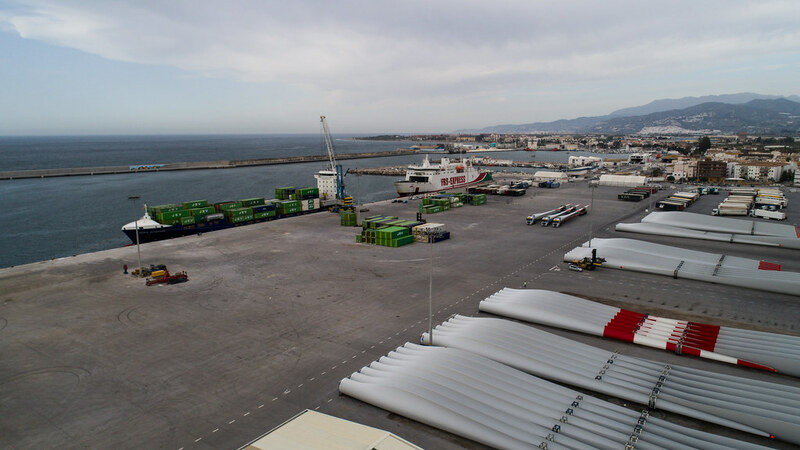 The corrected project of the execution of the works of the Port of Motril established new modifications that, according to the completion report, didn´t mean any increase in the budget approved on July 29th. The innovations mainly affected the distribution of the wharves, its width and length. Besides, a 32 meter breakwater was supplemented to the west dock. This last modification had a direct impact on the shelter anchorage, as another brand new idea consisted of locating a beach at the beginning of the dock to let the waves die away there without causing instability. Since 1931, the Administrative Commission of the Port launched several projects to improve its facilities. Thus, in March 1931, the engineer Juan José Santa Cruz drew up the project for the construction of a building assigned for the fish market. Its execution was approved in July with a budget of 41,993 pesetas, and it was declared to be an urgent project because of the appalling conditions of the buildings where the actual fish market was located. In April, the project of the reform of the workshops of the port was released; it was considered essential to provide different services of the port. This project was also drafted by the engineer Santa Cruz on 23rd April, 1931 and approved by the General Department in July with a budget of 33,439 pesetas, an amount that would be funded by the excise taxes. The rights for the completion of the docks and wharves that had been delegated to the Spanish-Dutch Construction Company during the Republic, were given in 1940 to the constructor José Junquera Blanco, who in that year was in charge of the property at the local Administration. This final phase of the project determined the definite construction of the docks and wharves of the port, which was completed in 1941. During this time period, especially after the entrance of the national troops in Motril, the port begins to increase considerably its operating levels. In 1937 the volume of goods achieved 24,034 tonnes, a quantity that would be doubled by the year 1938 to 53 533 tonnes. Except for the small recess at the end of the war, which set the traffic of goods at 43,437 tonnes. This short progress gave way to the difficult post-war years following the period of autarchy that Spain lived in at the time and the international blockade of the Franco regime. During the fifties no significant works were executed, perhaps due to the decline experienced by the commercial traffic at the Port of Motril. According to the records, except slight rising index, the levels were maintained during the first years after the civil war ended. In the beginning of 1950 statistics were very positive with total of 67,774 tonnes. However, in 1951 the records showed just 41,840 tonnes registered, marking the lowest point of this period of recession. The recovery seemed to begin in 1952, with an almost imperceptible rise of cargo handling, which made 43 011 tonnes. This uprising tendency persisted in1953 with 54,270 tonnes. But in 1954, the figures showed again a backward movement marking the lowest level of the whole period since the end of civil war: just 34,330 tonnes. This short recess would be understood as temporary, as in 1955 the figures were almost doubled regarding to the previous statistics: 67,053 tonnes. The decade of stabilization: 1970-1980. At the beginning of the decade of the 70s, the line of stabilization in transactional volume generally remained the same. The statistics of tonnes was quite significant compared to the previous year. In 1970, 333.752 tons were registered, representing an approximate increase of 125,000 tonnes, but from here, a slight oscillation occurred that caused this fluctuating rating. The statistical analysis was very clear in this regard, reflecting alternating figures from one year to the next. In 1971, the traffic ascended to 318,459 tonnes, followed by 405,292 tonnes in 1972, and 387,061 tonnes in 1973. During this decade, and in compliance with the Royal Decree 3137/83, dated August 25, July 1, 1983, all dependent fishing ports of Huelva, Cadiz-Malaga and Granada-Almería were transferred to the Autonomous Community of Andalusia, except the ports of Ayamonte and Motril. Thus, the State Administrative Commission was formed by the two cited mentioned above and those in Torrevieja, Gandía and Vinaròs. Then the groups of Balearics Islands, Las Palmas and Santa Cruz de Tenerife joined the Commission. Based on the reported income in that year, the Port of Motril was named second in the ranking, with a total amount of 9,884,752 pesetas, being only surpassed by the Port of Ibiza-Formentera. 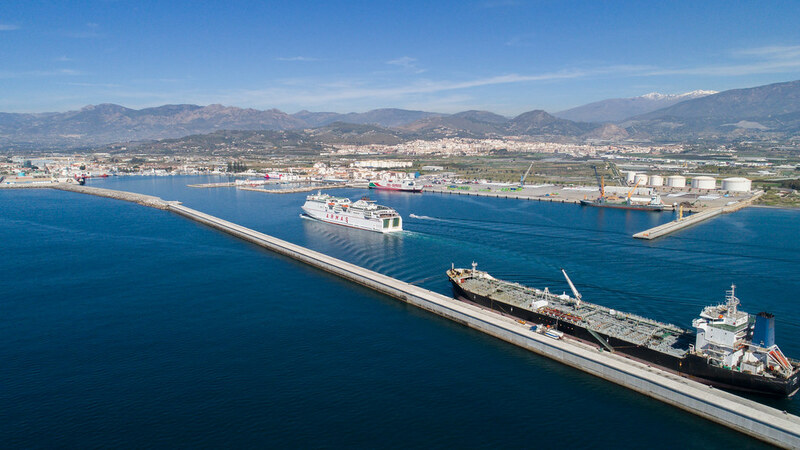 The final decision about the future of the Port of Motril, as a commercial port and depending on the State, was made in November. The Board of the Port of Almería was dissolved to create a new public entity based on the law 27/1992 on State Ports and Merchant Marine. The Royal Decree 1590/92 unified the ports of Almería, Motril and Carboneras as a single entity called the Port Authority of Almería-Motril. Its management was characterized by a major autonomy and a considerable commercial importance. Finally, the Port Authority of Almeria and the Port Authority of Motril were segregated fromthe Port Authority of Almería-Motril by the Royal Decree 940/2005, dated August 1. 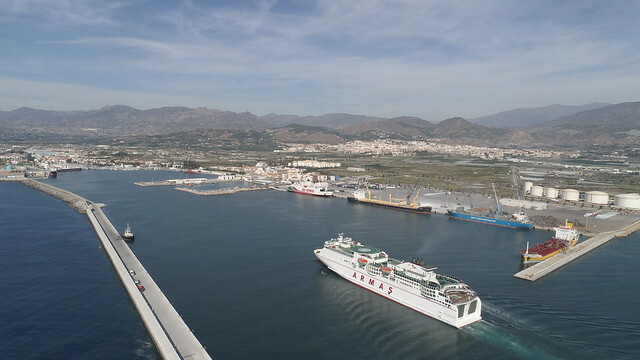 The Port Authority of Motril was established on October 1, 2005, by granting the concession of an autonomous port management.